During the last International Congress on Aerobiology in Parma, there was the first International Ragweed Workshop organized by the International Ragweed Society. Maira BONINI (Italy) stays involved in the board as Past President. Other members of the committee are Sevcan CELENK (Turkey) and Lazlo MAKRA (Hungary). Chantal DECHAMP (France) has been nominated honorary member. 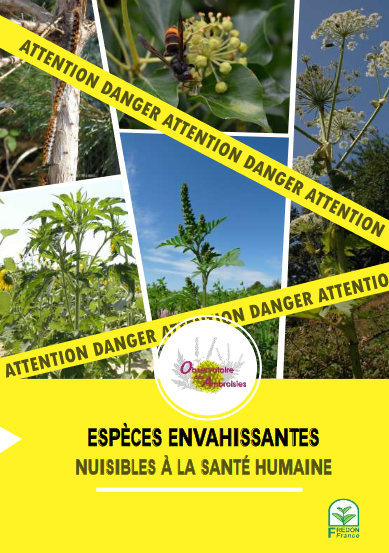 The French ragweed observatory has made a new leaflet dealing with 9 invasive species, among which Ambrosia artemiisifolia L. and Ambrosia trifida. You can consult this well detailed document (in French) here. Sarah LABRUYERE and Marilou MOTTET from the French ragweed observatory made an English version of the video on the Ambrosia leaf beetle Ophraella communa (with the participation of Bruno Chauvel, Heinz Mueller-Schaerer, Suzanne Lommen and Benno Augustinus).